How can your loved ones receive your assets soonest possible? Under the law, all assets of a person will be frozen upon his/her demise until probate (where there is a valid Will) or letters of administration (where there is no Will) has been granted by the High Court. In the meantime, the loved ones and dependants of a deceased person will be unable to withdraw the money in the deceased’s bank accounts or sell/transfer any of the other properties such as shares, unit trusts, house, cars and other investments. Therefore, an important objective of estate planning is to unlock or ‘unfreeze’ the frozen assets of the estate of a deceased person in the shortest possible time and without incurring unnecessary costs. · Administrators may be allowed by the High Court to have a commission not exceeding 5% on the value of assets collected by them. · The other beneficiaries may not be comfortable with the powers conferred on the administrator under the law nor trust that the administrator will act impartially. 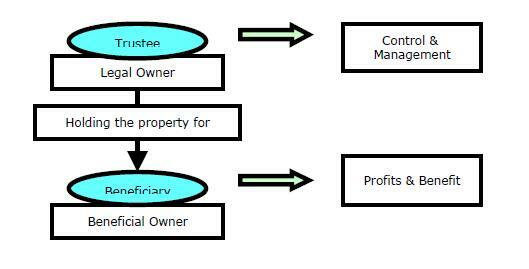 (b) Identifying, Locating and Valuing the Assets of the Estate – In order to apply for the letters of administration, it is the general rule that there must be two sureties who are able and willing to provide an administration bond equivalent to the gross value of the estate. Therefore, the person applying for the letters of administration needs to identify, locate and value the assets of the deceased to determine what the value is. The two persons who are to act as sureties are essentially guarantors in the event the administrator breaches a condition of the administration bond. Obviously, most people would be reluctant to agree to be a surety unless they have an interest in the estate or a special relationship with the beneficiaries. By having a Will, all these unnecessary hassle can be avoided. Nevertheless, even where there is a Will, it may sometimes take up to a year before the probate is granted. Thus, if you want your loved ones to be able to have access to some of your funds/assets in the event the unexpected occurs, having a Will may be insufficient. You may wish to set aside certain assets/funds to create a living trust. The advantage of a living trust is that the assets/funds therein will not be frozen upon the death of the person who created the trust (called the settlor), as they do not form part of the settlor’s estate. The beneficiaries would therefore be able to receive and have access to the assets/funds of the trust whatever the circumstances. A living trust would be helpful to business owners for business succession planning to ensure the smooth running of their company. In addition, individuals who have created an education trust fund for their children or a retirement trust fund for their parents can take comfort that they would be taken care of no matter what happens. Does having a Will mean that you have planned your Estate? Many Malaysians do not have a Will. However, even if you have one, you must give careful consideration to the relevant issues. Good Estate Planning always provides or contingencies and the “what ifs”. For example, many presume that their parents will depart first just because they are older. Thus, they fail to include their parents as beneficiaries. This would be a big mistake if their parents depend mainly on them for financial support. Can their spouses be expected to support their parents, especially considering the fact that the spouses may remarry? I personally know of an elderly widow who transferred her house, to her only son upon his marriage. The son passed away some time later, leaving the house to his wife under a Will. Soon after, the daughter-in-law evicted her mother-in-law from the house the latter once owned. The son obviously assumed that his mother would predecease him and left her out of his Will. *Possible consequences: So you leave them out of your Will. Big mistake! If they depend mainly on you financially, could your spouse be expected to support them on your behalf when you are no longer around, especially when your spouse may not be in the position to do so financially, or may remarry? *Possible consequences: As a result of this common presumption, many parents fail to appoint testamentary guardians or create testamentary trusts in their Wills. In some cases, a parent may even will everything to the spouse in the expectation that the spouse will look after the children. What happens if the spouse is also unable to be there? *Possible consequences: It is likely that some or all of what you will to your spouse, may end up with your spouse’s new husband or wife, parents, siblings and children by the new marriage instead of your own children. Are you willing to take this risk? Would not your children be better protected with a testamentary trust? *Possible consequences: You may not mind a part of your estate going to your parents. However, you must remember that they are entitled to do whatever they wish with the portion which they receive, including passing it on to whomsoever they wish. If they do not have a Will, your other siblings may also receive the assets you meant for your children. Is that fine with you? Isn’t there a possibility that your nephews and nieces will be grateful for the inheritance from their grandparents when it could actually be part of your hard-earned savings for your children’s education or spouse’s retirement? *Possible consequences: Many Malaysian are reluctant to appoint trust corporations as executors to administer their estates, despite the obvious advantages because trust corporations charge for their professional services. In an attempt to save on estate administration costs, they appoint relatives and friends instead. Sometimes, this backfires. Under Section 43 of the Probate and Administration Act 1959, an executor or administrator of an estate may be allowed by the High Court a commission of up to 5% of the value of the assets collected by them. This provision is applicable even though your Will does not expressly provide that the executor can charge. In addition, these relatives and friends may not have the time or expertise to administer the estate. As a result, lawyers and other professionals are engaged, whose fees are also charged to the estate. Consequently, the estate administration costs and fees are as much as, if not significantly more than, in cases where a trust corporation is appointed. Is it not worth considering appointing trust corporations, who are specialists in this area, to be your executors? *Possible consequences: It is not uncommon for testators to appoint their friends and relatives as executors of their Wills without informing them. There is no certainty that these friends and relatives are willing to take on the responsibility. Even where an executor is informed of their appointment, a testator may only pass away years after the Will is made. Will the executor still be willing and able to undertake the responsibility then? More importantly, will the executor even remember his appointment under the testator’s Will? Is there not a possibility that the executor himself may be deceased or no longer reside in Malaysia? As you can see from the above examples, planning your Will may not be as easy as it seems. Give careful thought to these issues. Estate planning is about empowerment. You have the power to make a difference in the lives of your loved ones after you are gone. Part 3 HOW CAN YOU ENSURE THAT YOUR CHILDREN WILL INHERIT YOUR WEALTH? Albert Einstein once said “Our death is not an end if we can live on in our children….. For they are us, our bodies are only wilted leaves on the tree of life”. One of the most important bjectives of estate planning is to ensure that your assets will be inherited by the persons of your choice when you are no longer around. As in the case of most Malaysians, it is probably your intention that the wealth accumulated in your lifetime will ultimately be passed on to your children and descendants, who are in essence, an extension of yourself. It may also be your wish that in the event of your untimely departure, your parents and spouse will be adequately provided for. However, as discussed in my earlier articles, one must be aware that there is always a possibility that the property which your parents and spouse inherit from your estate, may, after their lifetime, end up in the “wrong hands” – i.e. persons other than your children. Gone are the days where the widow jumps into the husband’s funeral pyre. Your spouse may remarry, and the property which he or she inherits from your estate may pass on to the new spouse and their children. Likewise, your siblings and their children may have the good fortune of inheriting some of the wealth which was originally yours, when your parents depart. It must be emphasized that once your property is inherited by your parents and spouse, you have no control over who will thereafter, receive ‘your’ property. Thus, how do you provide for your parents and spouse whilst ensuring that any balance of the funds or assets which they did not utilize will upon their deaths, be passed on to your children? Therein lies the challenge. The answer is to have a clause in your Will which provides for a testamentary trust to be created after your lifetime. Under a trust, a person called a trustee will hold the legal ownership of the property for the benefit of a person called the beneficiary. Although the legal title to the trust property is held by the trustee, it is the beneficiary who enjoys most of the rights of an owner. For example, where the trust properties are real properties and shares, it is the beneficiary who will benefit from and enjoy the rental income and dividends. The purpose of creating such a trust is to allow your parents and spouse to benefit during their lifetime without giving them full control. As the trustee rather than your parents or spouse is the legal owner, they will not be able to sell or transfer the property and upon their demise, it will not form part of their estate. The beauty of a trust is that the beneficiaries who will benefit from the trust income during the trust period and those who will receive the trust property otherwise called the trust capital can be different persons. Such a trust is said to be created with successive interests. For example, the trust deed (which is the document setting out the terms of the trust) may provide that the beneficial interest lies with your spouse and thereafter upon her demise, with your children. In other words, your spouse will be entitled to the income of the trust during her lifetime and thereafter the trust property will pass to your children. Your spouse as the beneficiary who is entitled to the trust income is known as the life tenant whereas your children who are entitled to the trust property are called the remainder beneficiaries. Knowledge is power. With a trust, you will be able to achieve the objective of providing maintenance for your parents and spouse without transferring the property to them. Give careful thought to the planning of your Will. Ultimately, the choices we make are our responsibility. Part 4 Estate Planning: Should You Make Your Will Simple or Specific? Let me tell you a true story. There was a lady I know whose wealth was almost entirely in real estate. When she had her Will written, she bequeathed all her properties to her daughters. Initially, she left nothing to her adopted son, whom she loved the least. However, after some persuasion from relatives, she named him as the beneficiary of her residuary estate thinking that there will be nothing of substantial value. A few years later, she sold all her properties and passed away shortly after without writing a new Will. As you can imagine, the adopted son as the beneficiary of the residuary estate, inherited everything and her beloved daughters, nothing. Is it not ironic??!! Benjamin Franklin once said “Failing to plan is planning to fail”. Please note that having your Will written does not necessarily mean that you have sufficiently planned the distribution of your estate. On the contrary, you should have an estate plan, before you have your Will written. This is because your Will merely implements your estate plan. If you refuse or fail to plan, there is a possibility that things may not turn out the way you wish when you are no longer around. One common question is “Should my Will be kept simple (with clauses as general as possible) or be made very specific? The answer, of course, depends on your circumstances. Whether clauses in a Will are simple or specific, there must be a reason for doing so. In fact, not only is every clause in a Will there for a purpose but even the choice of words is ‘strategic’ and must be carefully thought through. Example # 1: “I give everything to my parents, wife and children in equal shares”. Upon the demise of the testator, his parents, wife and children may all have equal shares in each of his assets. Supposing one of the testator’s assets is a house, it will therefore be co-owned by his parents, wife and children. This is likely to be the case, unless they all agree to sell the house and share the proceeds, or buy the shares of the other beneficiaries, or renounce their entitlements in favour of one of the beneficiaries (in which case a deed of family arrangement may be signed by the parties). Assuming the beneficiaries cannot agree to any of these options, will there be any difficulties arising from this joint ownership of the house? The widow of the testator may remarry and have a new family. Can she possibly be expected to share the house with her former in-laws? Example #2: “I give everything to my children in equal shares”. Upon the demise of the testator, his children may all have equal shares in each of his assets. Let us again take the example of a house. Initially, it may be acceptable to all the siblings to jointly own the house. However, it must be remembered that these siblings will grow up and have families of their own. Even if the siblings maintain a good relationship with each other (which is not always the case), is it not possible that conflicts and disagreements may arise due to the meddling of their spouses, children and in-laws? As you can see from the above examples, it is not always advisable for your Will to be kept that simple. It is only practical that, after careful consideration, you may will away certain properties to only a specific family member or loved one. Alternatively, you may instruct your executor to sell the property and distribute the proceeds to the beneficiaries in proportions according to your wishes. Some property such as the family home or car may have sentimental value to certain loved ones. Although the decision lies with you, do bear in mind that your loved ones may not be happy about the property being sold. Example: “I give houses A, B, C, D, E to my children M, N, O and P, and the residue of my estate to T”. Supposing after writing the Will, the testator sells the houses A, B, C, D and E, and thereafter dies. His children M, N, O and P will get nothing (unless the testator had a new Will written). Assuming there is no new Will after the sale of the houses, T, who is entitled to the residue of the testator’s estate, will get everything including the sales proceeds from houses A, B, C, D and E, and any new properties purchased with the sales proceeds. However, it may not be the testator’s intention for T to have everything. If you wish to be specific, you must do so for a reason. If you wish for, say, beneficiary ‘X’ to have all your properties, then it is sufficient to state in your Will that you give all your real properties to ‘X’, rather than to specifically name the assets by giving the addresses and land titles. However, there may be circumstances where you have a few properties and you wish to will them to different beneficiaries. You may have no choice but to specify which property goes to whom. If that was the case, it is important that you review your Will from time to time (at least once a year) to ensure that the clauses pertaining to the assets are still effective and in accordance with your wishes. It may also be worth your time and money to engage experienced and competent estate planners who are able to raise thought provoking questions and issues which do not always come to mind. Ong Eu Jin (LLM, MBA, LLB(Hons), CLP), a qualified lawyer and Chief Operating Officer of OSK-Signet Trustees Berhad, is the author of Your Guide to Estate Planning and Administration. First of all, thank you for dropping by. Thank you for taking the valuable time to read about financial planning. infinitywealth [dot] carmen [at] gmail [dot] com.